With Residences at Lakeside Apartments you will be sure to find the perfect home to fit your lifestyle. Our luxury Lombard, IL Apartment complex offers a variety of floor plan options with one, two, and three bedroom units available. Whether you are hosting a small dinner party or relaxing at home alone, our units are spacious enough to accommodate any size gathering. Call us today to schedule a tour! To find out even more about the luxury amenities we offer, view a full list of our amenities! 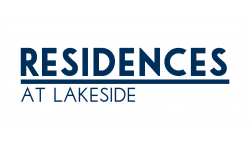 Discover the ideal apartment location when renting at Residences at Lakeside. Whether you are a graduate student at Midwestern University or an intern at Groupon in Downtown Chicago, the suburban beauty of Lombard, Illinois is your retreat. Located 20 miles from Chicago in a private neighborhood in Du Page County, experience a lovely community of renovated one, two, and three-bedroom apartment homes. When you live here, getting around town is easy with Interstates 355, 88 and 290 just minutes away. Explore the neighborhood and see what else is nearby the Residences at Lakeside! Residences at Lakeside will make your apartment dreams come true when you rent at our luxury Lombard apartment complex. With our convenient location and many amenities you will experience the perfect living situation. Give us a call at (630) 352-3032 Â with any questions or schedule a tour of one of our units. Apply online today to secure your dream home!